The whiskey at Seven Grand will git yew a-sangin’! Directions on the Gig Page. Thanks for the flyer, MJ STEVENS!!! 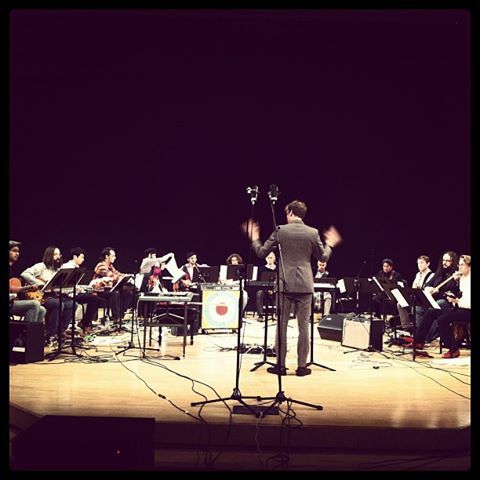 Awesome time at last night’s premiere of Jared Mattson’s work for guitarchestra. Come see us at Adams Avenue Unplugged! Saturday at 1:30, Sunday at noon. Check out the gig page for more info. April 14, 2013 / . / Comments Off on Tin Can Ale House! Because what else are you doing on a Tuesday night? Directions, etc. on the gig page. Don’t forget! 6pm this Sunday in La Jolla! Old time music by the sea! Check out the Facebook event page for more info!